A cozy pool house with a small pantry and living area for gathering with friends and family. 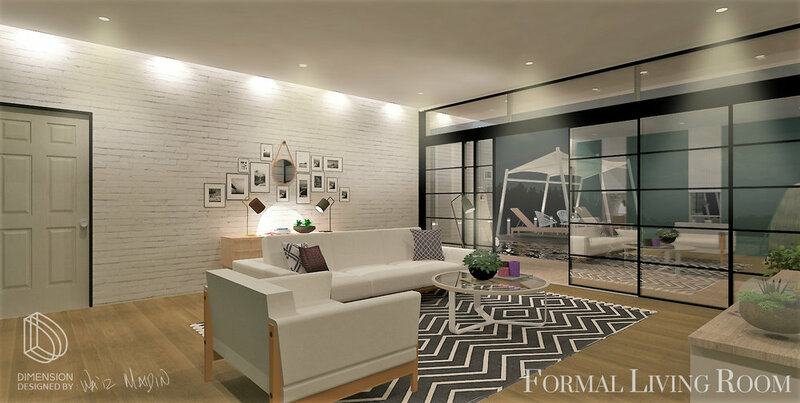 The idea of an open concept connecting outdoor and indoor with huge sliding door to fully open the living area and patio. © 2017 Dimension Company. All Rights Reserved.